Your team has just started – or completed – a long and strenuous day of seminars. Its objective? 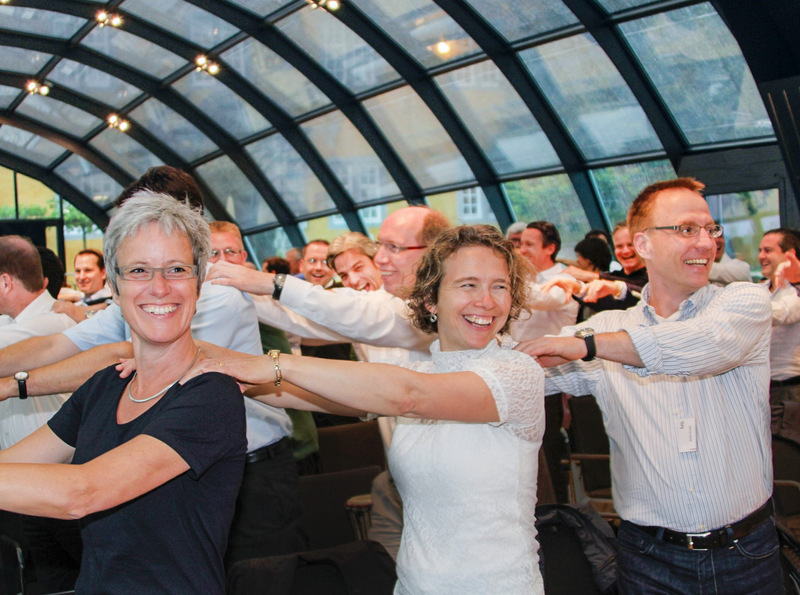 Motivation, co-operation and teambuilding! With our specially developed, interactive motivational programme, we will help your team to synchronise their efforts in as little as 10 to 45 minutes, breathing new energy into each and every individual and rejuvenating your conference. Our drums are placed on or next to each participant‘s chair either prior to the start of your event or during an intermission. The rhythm of your conference will not be disturbed. Quite the contrary! A drum event is in fact highly effective. ”In our internal evaluation, we graded the programme item entitled ‘Drum Session’ with a mark of 1.34 (German school grading system) from one to six, one being best). With this mark, the drum event finished at the very top of the day’s programme items! The vast majority of participants found the drum session to be extremely motivating and of very high quality. Participants are quickly motivated by the powerful rhythmic beats they create. 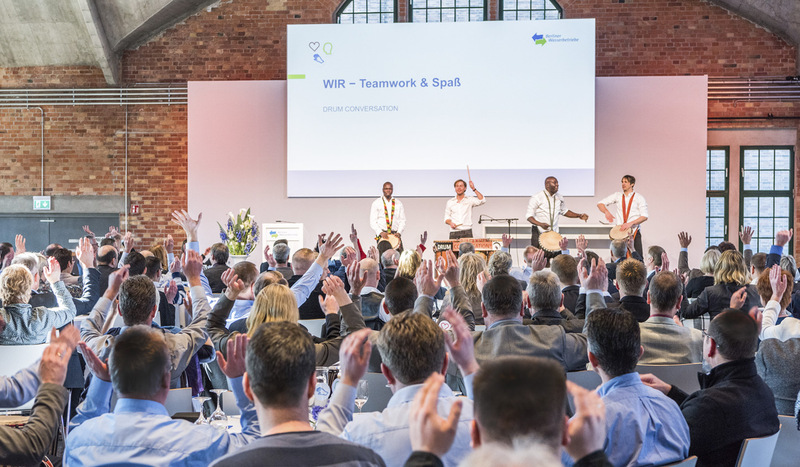 It is not unusual for participants to conclude a session with a standing ovation for their own efforts – even at nine in the morning after only a few short minutes of »Drum Conversation«. Have faith in our experience and expertise and put your trust in our proven concept. You‘ll be glad you did! It is possible to place our instruments on the participants’ seats prior to the start of the event, or during a break, pending on your agenda and/or the desired dramatic effect. 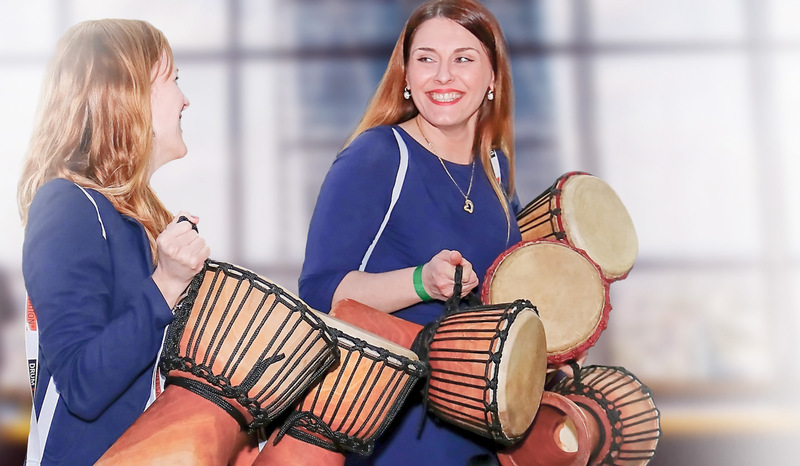 We have two options available for events where it is not possible or sensible to distribute our drums or other instruments beforehand, e.g., for reasons of logistics or dramatic effect. 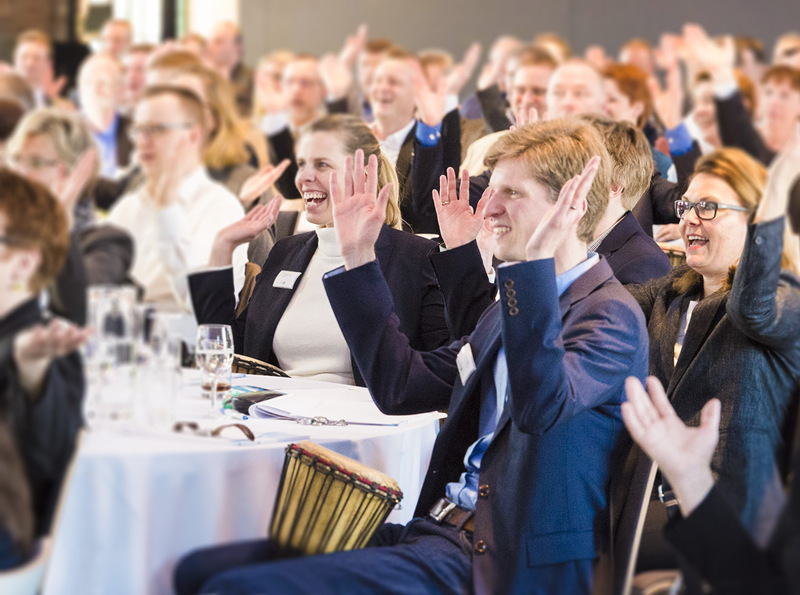 Here, event participants are engaged through rhythmic clapping, finger-snapping and singing. With this option, we distribute small-scale rhythm instruments like thundersticks, boomwhackers and shakers amongst the audience. This variation is particularly suitable for stadium events and similar types of large-scale functions. Our drums may also be purchased as special give-aways, to be presented to participants at the conclusion of your event. Individual inscription of the drums is also possible, ensuring that your event remains truly unforgettable. Do you have any questions regarding location, technical equipment, logistics or transport? We have compiled a list of Frequently Asked Questions (FAQs) that will hopefully provide you with all the answers you are looking for. Drum Conversation was founded in May 2004 by Uwe Lennard Grohn and Ismael Seck. These two pioneers are known to be absolute professionals in their field. 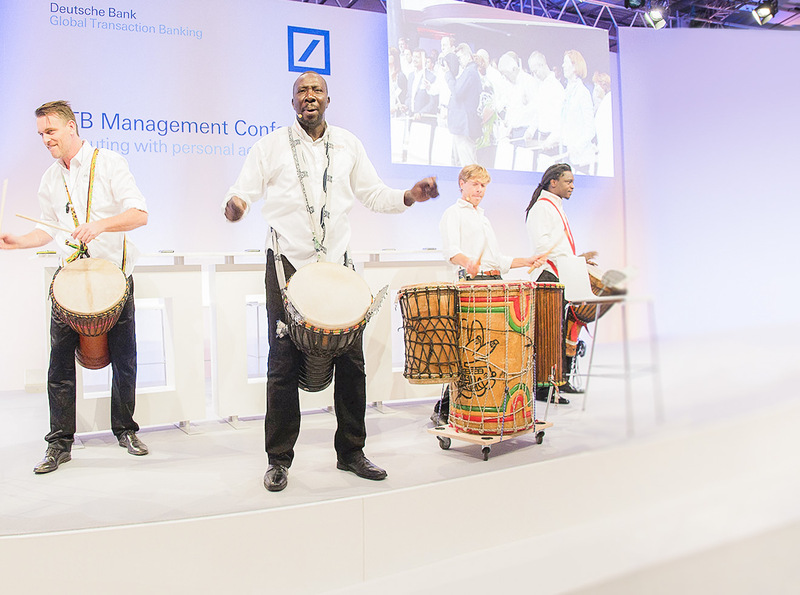 Together, they have made the concept of interactive drum sessions for corporate events famous and successful throughout Germany. Ready for the 1st Division! © 2019 Drum Conversation. All rights reserved.